I am so happy that you are here. I know you’re looking for solutions that will help you to feel better and live a more active life even on the days that you don’t feel so hot. But first thing’s first. As the owner of a health & wellness website, you probably have some sort of vision of what my life might look like. Hours at the gym, tons of energy, feeling on top of the world all the time. Let me tell you a secret though. That is just not true. I try. I try really really hard. But there are a lot of things that get in my way of getting to the gym and feeling awesome every day. Yikes! I sure don’t sound very healthy now, do I? The thing is, when it comes to my blood work, I’m the epitome of health. But when it comes to the way I feel much of the time, I’m kind of a medical mystery. I’ve tried monitoring the foods I’m eating to see if they corellate to my ailments. I’ve tried different medications. And we’re just not sure. Nothing quite points us in the right direction to give us answers. But I am sure of one thing. I do not want the way I feel to get in the way of my physical health. My cardio health. My muscle strength. My flexibility. My endurance. All of that. I refuse to be pushed down by whatever it is that’s going on. 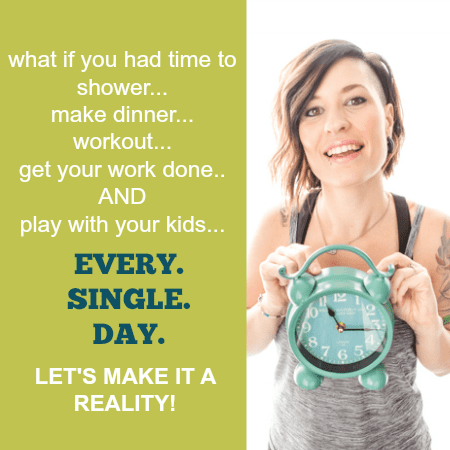 And I want to show you just how it’s possible to live a healthy lifestyle even if you’re dealing with illness, chronic pain, or just not feeling well much of the time. I actually get quite a few emails from women who wish they could get healthy or lose weight but there is something in the way. I promise that you are not alone. The truth though is that we have been going about this whole thing the wrong way. We are making excuses. We are leaning on our illnesses and injuries. We are letting them call the shots. I don’t know about you, but I don’t want to live a life where my IBS is calling the shots. Sure, it gets in the way sometimes… a lot of the times. But I still want to be in charge here. 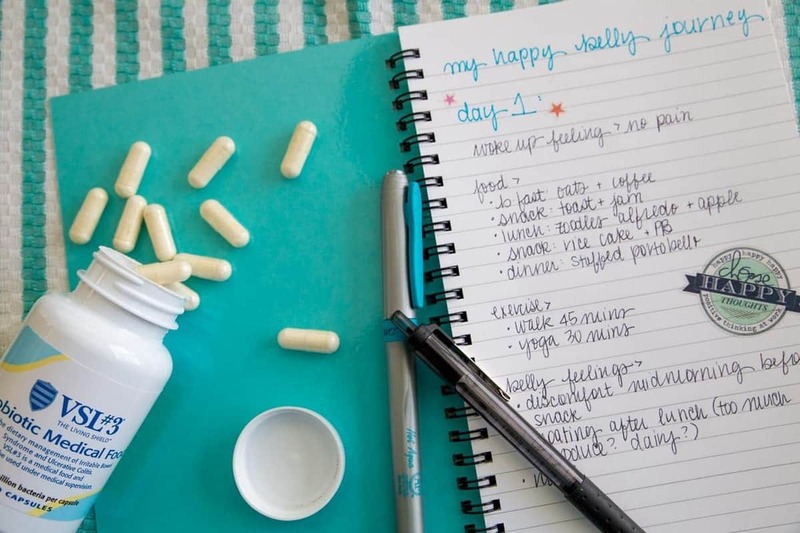 This is how I have managed to stay in charge of my health and how you can too! Take advantage of the times you do feel well. So you may not feel well much of the time, but in a day or a week, there are usually little pockets of time that you feel at least a little better. Don’t waste that time! 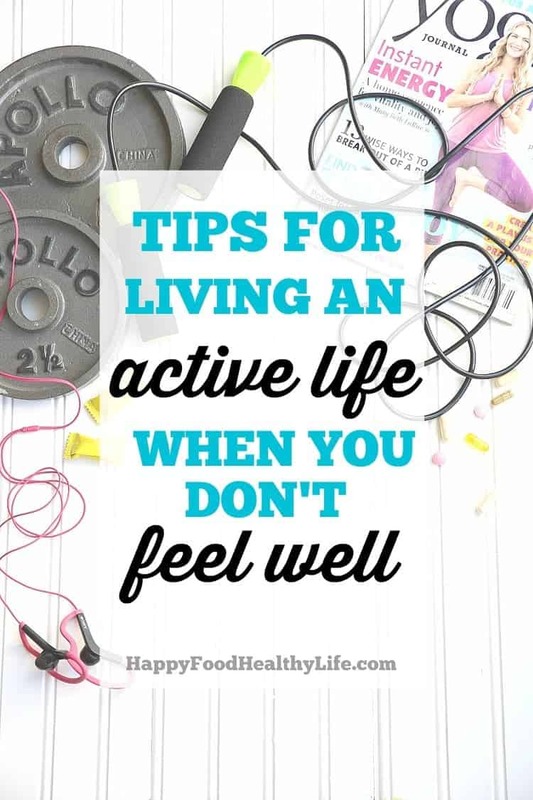 Those pockets may be few and far between, so you’re going to want to jump on it and use that time to take care of your body with movement, exercise, and health. If I’m feeling well and there’s a Zumba class scheduled, you can bet that I’ll be there dancing away because who knows when the next chance will be when I’ll be pain-free! Keeping track of the foods you eat may help you to notice patterns in your health and well-being. Maybe it will help you determine that you don’t feel well for a few hours after you eat dairy. Aside from the fact that you may have a lactose intolerance, this also tells you that you could try and plan an exercise before eating and that a workout after ice cream may not work out the best. Have alternative/low-impact activities in your back pocket. Most days, I really have the desire to kill it with my workouts. I want to sweat to the max and give it my all. I feel the healthiest when I can go balls to the wall. But the truth of the matter is that’s not always possible with a chronic illness such as IBS. For that reason, it’s super important to have alternatives in mind. Maybe a running day is going to turn into a walking day. Maybe your cross-fit workout will have to be some simple body-weight moves that don’t take as much effort. Or maybe it’s simply going to be a stretching or yoga day. That is all ok, and that takes me to my next point. Just don’t. I know how easy it can be to get down on yourself because you’re unable to do as much as you want. But the truth of the matter is that you can only do as much as your body will allow. So it’s important that we learn to listen to our bodies and rest or take it easy when our bodies say so. There is no harm or shame in taking it down a notch for the wellness of our bodies. As I learn to deal with chronic illnesses and pain, I’m also constantly trying to figure out long-term solutions as well as the roots of the problems. Irritable Bowel Syndrome (IBS) is a serious GI issue that affects the large intestine and commonly causes cramping, abdominal pain, bloating, gas, diarrhea and constipation; there is no cure or known cause for IBS. I mean, c’mon – do you know how frustrating it is to have to stay home from a workout cause you can’t trust your stomach and its flare-ups? As a healthy 32-year-old, I never really thought this was something I’d have to deal with. But I am, and I’m not giving up. In my research, I’ve actually learned about VSL#3, a high-potency probiotic medical food that is clinically proven to help manage digestive issues for IBS and ulcerative colitis sufferers. This is different from your yogurts and kefirs that have the perks of containing probiotics because VSL#3 contain 8 strains of live bacteria, making it 10 times more potent than your average probiotic. In case you’re curious what probiotics are, they are good bacteria that can make the difference between a healthy/pain-free gut to an unhealthy/grumpy gut. I want the happy gut for sure! While many people are familiar with the general term “probiotics,” most do not understand the importance of knowing which specific strain of organism should be used for which specific disease or condition. * I know I was completely in the dark until learning more about VSL#3. On top of taking VSL#3, it’s important to pay more attention to the foods you eat that don’t jive so well with your stomach. I like the idea of incorporating IBS-friendly recipes like these ones. Now you can take part in VSL#3’s new Patient Savings Program. Simply print out this VSL#3 Patient Savings Card and bring it to your physician to receive a prescription for VSL#3. Then take both the script and the Patient Savings Card to your pharmacy and save up to $80 each month on your purchase of VSL#3 unflavored packets or VSL#3 DS. This is the largest savings ever offered for both VSL#3 and VSL#3 DS. Visit here for more information and talk with your healthcare provider today to take part in the savings program!